Nextion NX8048K070_011R Enhanced 7 inch TFT Touch DisplayNextion 7 inch Enhanced Resistive Touc..
NTC Temperature Sensor ModuleKY028 NTC Temperature Sensor Module with Digital OutputThis thermistor ..
DHT12 SensorTemperature and Humidity sensor with I2C interfaceDHT12 Temperature and Humidity Sensor ..
5 Volt single Channel Isolated Relay Module5 volt 1 Channel Isolated Relay ModuleRelays are out..
13.56 Mhz USB RFID Reader 13.56 MHz contactless HID USB Proximity RFID Reader This is a co..
Water flow sensor SEN-HZ43WB SEN-HZ43WB 3/4 inch Brass water flow sensorNow easily measure wate..
Water Flow Sensor SEN-HZ41WCSEN-HZ41WC 1/4 inch Brass water flow sensorNow easily measure water (liq..
DNA Technology/Solution is an Online Electronic Components Shop located in Nasik, Maharashtra. You can buy various Micro-controllers, IC's, Displays, battery, Solar Panels, Robotic Accessories, Relays, Connectors, sensors and modules at low cost through our e-commerce store. Our vision is to make good quality electronic components easily accessible to every Electronic engineer in India at affordable rates. We cater not just to Students & Hobbyist but also to Electronic Industry. With special focus on Startups & IoT firms we can even arrange components which are not available in our shop. 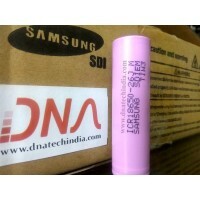 We are very pleased to announce that DNA Technology is the official Distributor for Nextion Display in India. Nextion is a cost effective HMI Display which has a TFT display with 65536 color and Resistive/capacitive Touchscreen. You can easily make text boxes, buttons, sliders, gauges, progress bars etc without much hassle. Nextion Displays can be easily controlled via Serial Port so basically it can be interfaced to Arduino, Raspberry Pi or any other Micro-controller which has UART Interface. Check out and buy online BASIC and Enhanced versions of Nextion Displays.